This summer, TRIBE will be powering the Breca Swimrun Buttermere. Explore craggy hilltops, mountain tarns, rugged trails & glittering lakes at the 2017 Breca Swimrun series. As a competitive sport swimrun is in its infancy but it’s rapidly growing in popularity. You race as a pair, wearing swimrun wetsuits and lightweight, grippy, quick-draining trainers, carrying everything you need to complete the course. Well-marshalled water sections and waymarked trails mean there’s no navigation and the challenge is simply completing the course as fast as possible. The BRECA Buttermere swimrun course sums up everything that excites me about this sport. The full 48km course combines some great trail – and in some parts fell – running with refreshing swimming in silvery mountain lakes. It’s also nails hard with over 2000m of ascent packed into the 42km of running. The shorter Buttermere Sprint isn’t easy either; it’s still 20km with almost 1000m of ascent. I was lucky enough to get a course preview with photographer Paul “Wildman” Mitchell recently. The weather was stunning and we had an awesome day running around the fells above Buttermere and swimming in the cool, clear water. The terrain that the race takes you over is amazing -- the fells on both flanks of the Buttermere valley are steep but very runnable, with fun technical sections, lung-busting climbs and exhilarating downhills. Then, after a final swim in Buttermere itself, comes the notorious climb towards Robinson. When you’ve finished cursing the route planner you realise that you now have the pleasure of running the soaring ridge past Dale Head and then north over High Spy towards Cat Bells; the views along here are stunning as the finish at Keswick appears far below. Then there’s a steep drop off the ridge to Derwent Water for the final swim, with a run across St Herbert’s Island at half way – of course. I’m a trail and a fell runner, happiest at a run, making my own way across Britain’s mountainous terrain and exploring on two feet. I’ve raced a few triathlons and really enjoy mixing up the different disciplines. 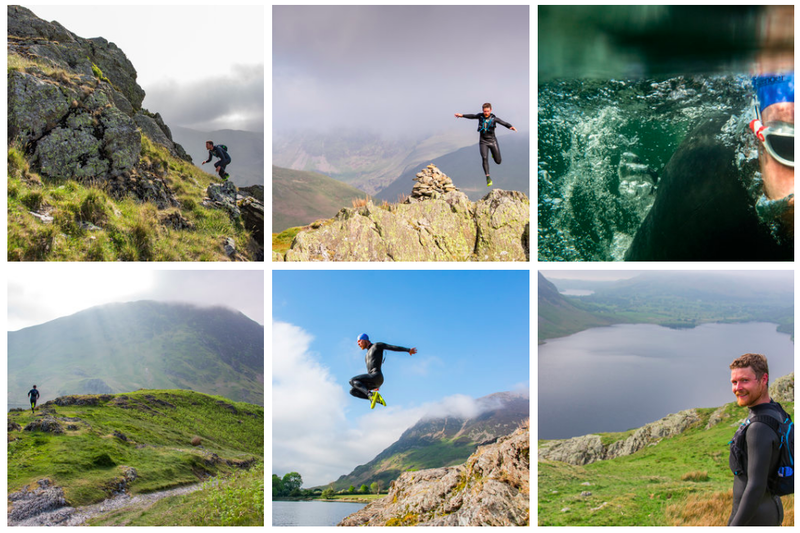 But for me, swimrun offers the chance to combine running over the rugged mountain terrain that I’d expect to find fell running with adventure swimming – and the BRECA Buttermere course is exactly this, it’s brilliant!